Those words by Lisa Anderson, President of LMA Consulting Group, Inc. in a recent article about the current job market, should give all managers pause. An improving and changing economy is creating increasing demand for skilled workers, particularly in the IT space. Several surveys have found that a majority of workers are looking for a new job these days, and you can bet that many of your best employees are considering their options. Countless studies have shown that for most employees, money is not the top issue when it comes to job satisfaction. That being said, employees who feel significantly underpaid begin to feel unappreciated and will seek new opportunities. Work with HR to keep compensation competitive, and let your employees know about your efforts. Acknowledging the high demand for IT/tech workers, CIO magazine recently emphasized the importance of providing education and training opportunities to keep employees engaged. The article suggested a great way to keep staff current with the latest tools and processes is with VMware’s Cloud Cred, a free online skills-building platform that offers certifications and recognition. Another option is to develop internal training groups — an approach that not only helps develop new skills, but builds stronger connections among co-workers. Many companies do exit interviews when an employee leaves. While such interviews generate useful insight, they are done when an employee is already committed to leaving. 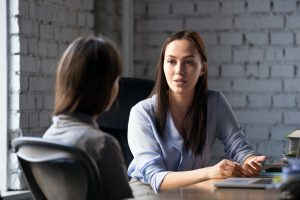 Instead, conduct “stay” interviews in which you get an employee’s perspective on what he or she likes about their job, as well as what might prompt them to look elsewhere. At the very least, employees will appreciate that you want their input. The Work Institute offers an “essential guide” for conducting effective stay interviews. Writing recently in the Huffington Post about creating an engaged corporate culture, Business Success Strategist Dayna Steele warned against a “one-size-fits-all” retention strategy. Get to know each employee well enough to know what motivates him or her. For instance one employee might get jazzed about learning the latest technology, so do your best to provide training opportunities. Meanwhile, another employee may be a challenge seeker who needs stretch assignments to stay engaged. Indeed, there is no silver bullet to talent retention. By developing a range of resources and strategies aimed at deepening employee engagement, you increase your odds of keeping your best employees. And, as an added bonus, you create an environment that will help attract new talent as well. We at Adecco Engineering & Technology use our knowledge and insight to keep businesses ahead of the growing talent shortage, and we use our connections with premier STEM professionals to deliver the innovators our clients are looking for. To learn more about our recruiting and staffing solutions, contact us today.